Hanna Holdings, Inc., the parent company of Howard Hanna Real Estate Services, today announced record sales in all of its business units throughout the firm’s eight state footprint of PA, OH, NY, VA, MI, WV, NC and MD. Closed real estate sales volume was up 38% over the previous year at $17.484 billion with 95,152 closed units, up 43%, making Howard Hanna the #1 home seller in Pennsylvania, Ohio and New York, the third largest real estate company in the United States, and the largest privately held real estate company in the United States. Howard Hanna Mortgage Services closed volume was up 5% at $1.376 billion with 8,244 closed loans, up 4% over the previous year. Barristers Title closed volume was $1.995 billion with 10,700 closings. Howard Hanna Insurance Services volume was up 2% at $2.094 billion with 12,266 new policies. In June of 2016, Howard Hanna acquired the largest real estate brokerage in the state of New York, Realty USA, headquartered in Buffalo with 65 offices in the Albany, Binghamton, Syracuse, Rochester and Buffalo regions. Additional acquisitions last year include REMAX Alpha Realty in North Carolina; Kelly & Visconsi, commercial retail broker, in Cleveland, OH; The Frederick Group, residential and commercial broker in Allentown, PA; Best Real Estate, Hermitage, PA; Valley Realty Company, in Freeport, PA.
“As we enter the 60th anniversary of the real estate company started by my parents at the corner of Bayard and Craig Streets in the Oakland section of Pittsburgh, all of us in the Hanna family applaud the great efforts of the professionals who make up our company – not only the fastest-growing large real estate organization in the country, but also the most admired,” said chairman Howard W. “Hoddy” Hanna, III. While 2016 marked the best year in home sales in a decade according to the National Association of Realtors, CEO Helen Hanna Casey sees many opportunities for increasing business in 2017 and beyond. Howard Hanna Mortgage Services hopes to encourage more young households to become homeowners this year. Their My First Home mortgage program makes it easier and more affordable to finance a first home, with closing costs rolled into the mortgage and low-to-no down payments. “This mortgage program, coupled with the benefits of buying a home with a Howard Hanna 100% Money Back Guarantee and an HSA Home Warranty, is what first time buyers should be considering,” said Hanna. Additionally, Howard Hanna Mortgage offers a Buy Before You Sell program for those looking to right-size. This program applies the equity in a current home towards the down payment on the next home. 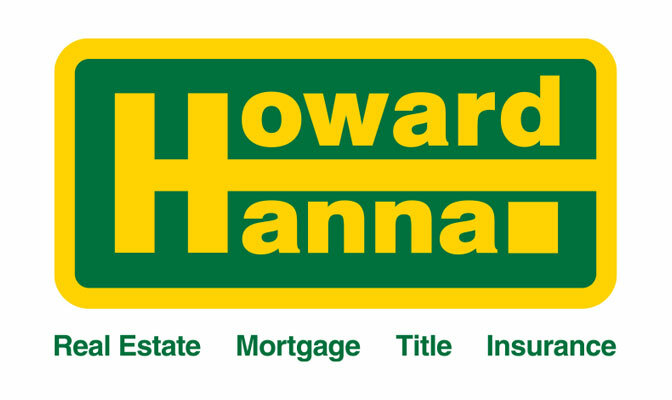 About Howard Hanna – Howard Hanna Real Estate Services is the third largest real estate company in America, the #1 privately owned broker in the nation, and the largest home seller in Pennsylvania, Ohio, and New York. The family-owned and operated real estate company specializes in residential and commercial brokerage service, mortgages, closing and title insurance, land development, appraisal services, insurance services, corporate relocation and property management. With more than 270 offices across PA, OH, NY, VA, MI, WV, NC and MD, our more than 9,000 sales associates and staff are guided by a spirit of integrity in all aspects of the real estate process.